Time for some fun! 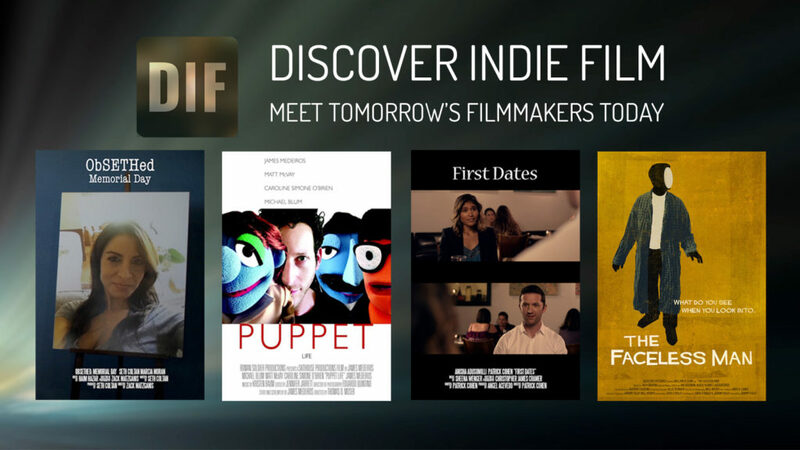 Season 1 Episode 5 of Discover Indie Film features four comedies that breathe new life to the awkward situation. OBSETHED: MEMORIAL DAY (3:42) A young woman’s life has ended tragically. PUPPET LIFE (7:33) Meepo is going to have to overcome the obstacles of love and inter-puppet racism. FIRST DATES (5:14) Navigating the most perilous of all social interactions. THE FACELESS MAN (12:34) A disillusioned man discovers his face has transformed into a mirror must venture out into the world. Click here to listen to an interview with Seth Coltan, the writer/producer/lead actor of ObSETHed: Memorial Day. Click here to listen to an interview with James Medeiros & Caroline O’Brien, the filmmaking team behind Puppet Life. Click here to listen to an interview with Patrick Cohen, the writer/director of First Dates. Click here to listen to an interview with Jeremy Foley & Sara O’Reilly, the filmmaking team behind The Faceless Man.